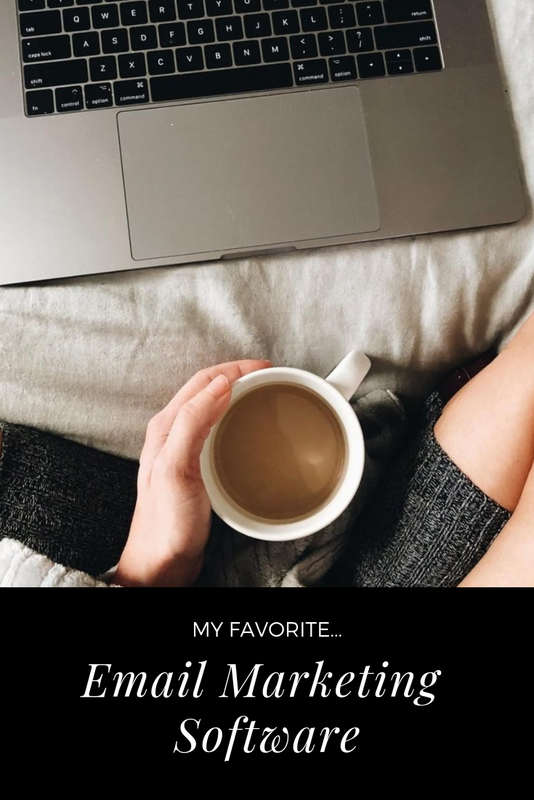 I wanted to write a post about monetizing your blog and/or your social media because it’s something I have REALLY been focusing on over the last month or so. For a long time, my blog just sat here. I would post a few interesting things here and there, but I wasn’t earning a dollar. Meanwhile, I was spending countless hours creating and sharing content for Instagram and only using Pinterest as a guilty pleasure vs. a business tool. Things have changed! 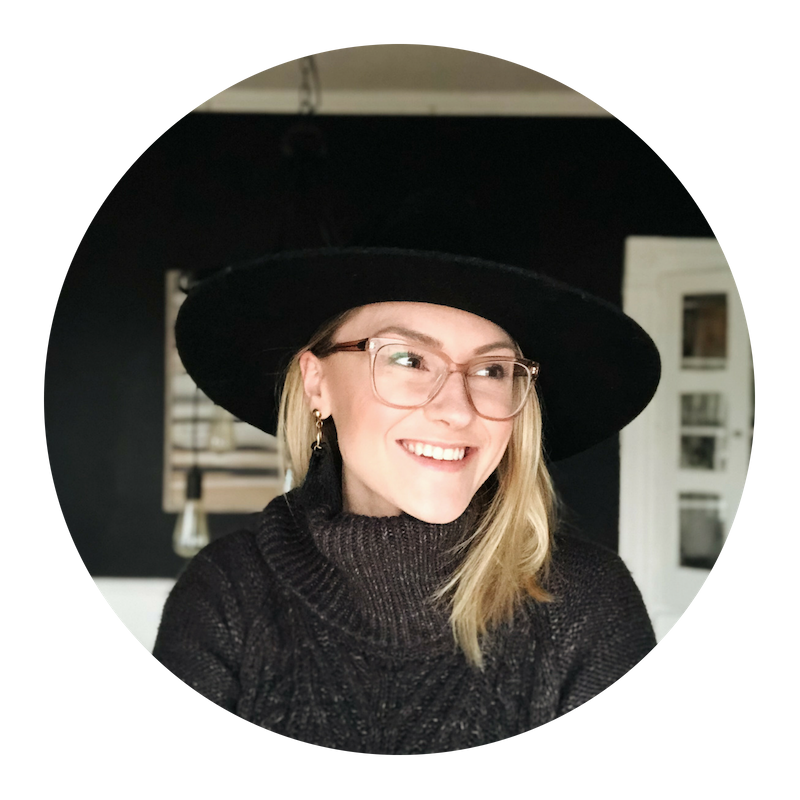 I am SO passionate about creating content, sharing my heart, and inspiring others to build a life, home and business that they love so blogging seemed like a natural fit. I want every other woman sitting out there behind a screen to know that you can make money doing something you love. Sponsored post are a great way to make money from your blog and social media. Basically, a brand will pay you in exchange for sharing about their product on your blog and/or social media. Every brand will have their own requirements and expectations for sponsored posts. Make sure you only work with brands that you trust and that are relevant to your audience. There are a few different ways to find brands to work with. For me, I haven’t really focused on sponsored posts, so the only brands I’ve worked with are ones that have reached out to me. That said, this is definitely something I need to do more of and I have signed up for tons of platforms out there that help connect influencers with brands. You sign up, create a profile, and then either apply for sponsorship opportunities or wait for brands to contact you depending on how that specific platform works. If I’m being 100% transparent with you, I haven’t landed ONE brand deal through these platforms. All of my sponsored posts have been from brands reaching out directly via email or Instagram direct message. Just recently freshened up my profile here. Another approach is emailing brands directly. This allows you full control over who you work with and what products you promote! I can’t say I have tried this yet, but when approaching brands, make sure you are coming from a place of serving them! What unique value can you provide to them? Look for their email on their Instagram profile and if you can’t find it there, see if there is a contact page on their website. If you come up short, send them a genuine direct message via Instagram and ask for their email address! Including a compliment never hurts! Affiliate marketing is my favorite way to make money blogging. I enjoy sharing items that I use and love every single day! The good thing about affiliate marketing vs. sponsored posts is that you can create whatever kind of content you like without direction from the brand itself. Less direction = more creative freedom. Can be tough to get approved for, but endless brands/products. This is a very well known app in the Instagram space, so if you are an IG influencer, this one is for you! TONS of great brands in all categories. Great commission details on every brand. 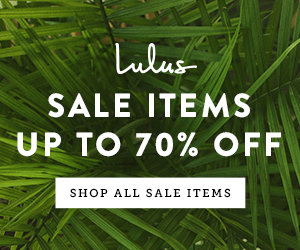 I initially joined this platform for Lulus, Minted, and Wayfair (which I’m still not approved for). Pays by link click instead of commission. This was the fastest way I was able to start making money! As I have more links out there, I’m starting to make money on auto-pilot. Use my code WGK87 to earn an extra $100 when you hit $300 in earnings. Amazon has EVERYTHING, which is a major plus. The program has a really short cookie trail (24 hours), so people need to buy from your link right away. Commissions are small when you first start with Amazon, so it can be hard to make a lot a money without tons of traffic. 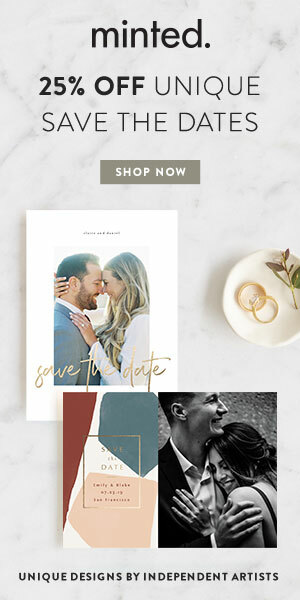 Etsy goes through this affiliate platform (which is why I signed up), but there are tons of other great brands on this platform, too. Word Market and Hobby Lobby are on this platform. Because affiliate marketing has such a great earning opportunity, I knew I wanted to learn from the best. I decided to invest in Michelle Schroeder’s Affiliate Marketing course and it has completely changed my outlook on making money with my blog. The course has provided a good mix of technical and “soft skill” advice, and Michelle gives tons of great examples for working affiliate links into your organic content. Ads are a very common way to make money blogging. Basically, companies pay you to place ads on your website. You might get paid by the number of people who view the ad OR the number of people who actually click on the add, pay-per-click (PPC). Google Adsense is the easiest for getting started and the minimum threshold for getting paid is only $10.00. I’ve heard great things about this ad platform, but you need a minimum of 25,000 unique monthly users to apply. This is exactly how I started. 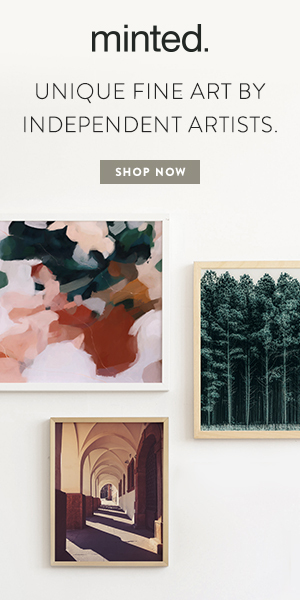 When I began Thoughtfully Thrifted, it was an online shop hosted on SquareSpace. I posted vintage/thrifted items for sale on my feed for people to purchase off of my website. Now, I sell strictly vintage rugs on my website. You can sell physical goods on any of the platforms below! Each of them have pros and cons and you can always use a mix of multiple sites if that works for your business model. Since each of my items was unique and one of a kind, it would have been a little dangerous for me to list the items in multiple places. You can buy and sell new and used on Poshmark! A major platform for clothes, they also have a boutique option where you can operate a full on online boutique. Etsy takes a commission, but using this platform gives you access to the huge traffic base Etsy gets and dumps your products into their search. The classic platform for selling used goods has also moved into selling new items. My brother made $500 in two weeks just selling things around the house. I have a good friend selling on Amazon (linking her shop here). She has been loving the flexibility and that Amazon handles the shipping. Start, sell, market and manage your online store with Shopify. This robust platform is flexible and recommended by many. This platform reminds me a lot of Etsy! Beautiful items. You can also think about listing your items on apps like Offerup, Let Go, Craigslist, and Facebook Marketplace. These apps are great for local sales. I used them very frequently for buying and selling vintage furniture like dressers and shelving units. Digital products are SO much work to create, but if you have expertise to offer in an area related to you blog, creating a digital product like an online course or an eBook that can provide extreme value to others is a win-win! I’ve created and helped clients create online courses using platforms like Teachable and Thinkific, and I’ve heard great things about selling eBooks via Amazon! I’m in the process of re-launching my Instagram Intensive course as well as rolling out a Pinterest course because these apps have been SO influential in my business, and I want to share everything I’ve learned to help other bloggers succeed on these platforms! Services are a great way to make money when you first start blogging as you ramp up your sponsorship, ad and affiliate dollars. Think about something of value that you can offer your blog audience. Is there something you are an expert in like finances, home design, or marketing? I have a background in digital marketing with a degree and 5+ years corporate experience, so this made perfect sense for me to offer clients. I currently provide social media strategy, training and management, consulting, email marketing, and more to other small businesses. Making money with your blog is possible, but that doesn’t necessarily mean it’s easy! If it was, everyone would be doing it. The most important thing to remember is that it takes time to start generating income with your blog. Don’t give up in those few first months when you are just getting started!